International competition showcasing the best sawing, chopping, speed climbing, log rolling, boom-running & more! You'll have a darned good time! Great family fun! Yo-Ho! Lumberjacks and lumberjills run atop spinning, floating logs in an attempt to topple their opponents! Difficulty increases as the logs get smaller! Competitors sprint atop a "boom" - a series of linked, floating logs - from one dock to another and back, as logs begin to spin out of control! Lumberjacks go head to head in the breathtaking speed pole climb as they scale a 60' or 90' pole & seemingly fall to earth in record time! Lumberjacks and lumberjills sharpen up their axes to compete in the high intensity standing chop, underhand chop, springboard chop, and standing block chop! Bullseye! Precision is the name of the game as competitors throw a double-bit axe as close to the center of a target as possible from a set distance away. 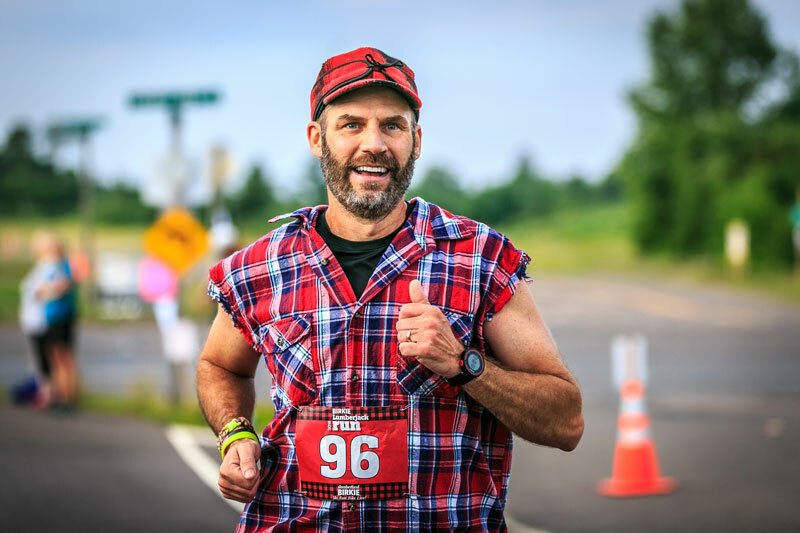 Sawdust will fly when lumberjacks and Lumberjills attack lathe-turned white pine in a head-to-head competition using a crosscut saw or a souped-up chainsaw in a variety of fast and furious events! Save the Date to Buy 3-Day Pass Tickets for the 2019 Lumberjack World Championships! Buy 3 Day Passes Now! Print your tickets at home or use e-tickets (paperless)! Festival Grounds Open at 11:30am! See Schedule & Details Below! Happy Hour & LWC Koozie Night®! Festival Grounds Open at 12:00pm! Live Music in the Swinging Axe Beer Garden! What is the difference between Reserved Seats and General Admission (GA)? Reserved seats are more expensive than General Admission as they have the best view and are closest to the main dock. You can choose and reserve the specific seat(s) you want. They are your seats for the day’s events. Reserved seating tickets can be purchased on-line at any time OR at the gate on event day. TICKETS PURCHASED AT THE GATE ARE MORE EXPENSIVE. Buy online, SAVE MONEY and skip the line at the gate to purchase tickets! The sections below, highlighted in blue, are Reserved seating sections. General Admission seats are occupied on a first-come, first-served basis. General Admission tickets can be purchased online at any time OR at the gate on event day. TICKETS PURCHASED AT THE GATE ARE MORE EXPENSIVE. Buy online, SAVE MONEY and skip the line at the gate to purchase tickets! The sections below, highlighted in yellow, General Admission seating sections. If you would like assistance buying tickets online, call 715-634-2484. Save the Date for the 2019 Lumberjack World Championships! August 1-3, 2019 – 3 Days of Competition & Fun! Qualifying Competitions: Chopping, Sawing, Logrolling, Boom run. Detailed schedule available July 1. Happy Hour in the Swinging Axe Beer Garden! Novice Finals and Axe Throwing Competition throughout the afternoon. Detailed schedule available July 1. Live Music in Swinging Axe Beer Garden! 5K Run/Walk - August 3! 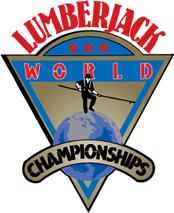 Each April, professional lumberjacks and lumberjills are invited by the Lumberjack World Championships Foundation, via email, to apply to compete at the Lumberjack World Championships. The application submission deadline for new athletes has closed. If you submitted an application for consideration and are selected by the LWC, you will be notified. All applications will be reviewed and athletes ranked and selected in April, with start lists for each event discipline determined and communicated to athletes by early June. Be a part of the LWC without running on a log, climbing a pole, or swinging an axe. Volunteer for the LWC and you’ll have more fun than you can shake a stick at!